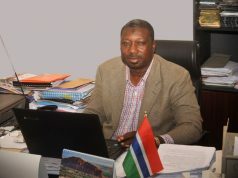 Abdoulie SEY is the Editor-in-Chief of GRTS. The role includes supervising the production of news bulletins and driving the editorial policy of the institution. He is also the producer and host of the Checkpoint – a current affairs one-on-one interview program centered on hard-hitting of questions. 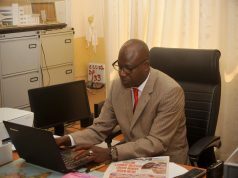 Mr. Sey is the initiator of the Newsfile – the Saturday night flagship news bulletin that offers viewers comprehensive analyses and comments. 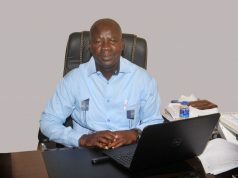 Mr. Sey went to Gambia High School and got his first degree at the University of The Gambia. Whilst at the university he won an award from the UTG PEACE program to complete the degree at St Mary’s College, USA. He has an MA in International Multimedia Journalism from the University of Kent courtesy of the Chevening Scholarship. Whilst at Kent he won a BBC World Service fellowship in London. This introduced him to HARDtalk, Focus on Africa, News Hour and World Have Your Say.